Have you ever read the story of stone soup? It's all about strangers coming together to create a magic soup from just a stone (and a little help from everyone). D-level reenacted that same story this week! 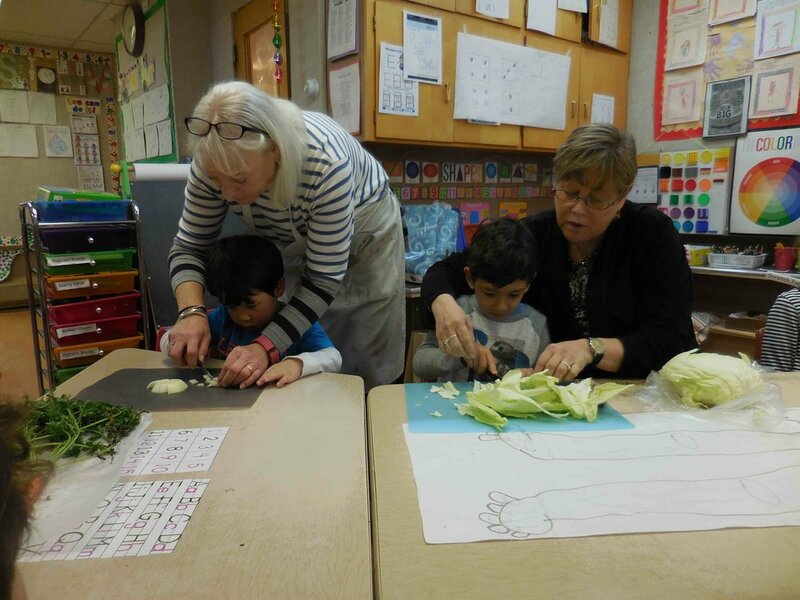 They each brought in a vegetable they wanted to contribute to the soup. Then they all practiced cutting up the veggies and added it to the single stone in the pot. Two days later, it was cooked and ready! Everyone had a blast eating and sharing their stone soup.